Many manufacturers are pushing to be among the first to launch one of these potentially groundbreaking products. We’re excited about them, and we know you are too. Want to get ahead of the crowd and keep up to date with which companies are working on what? We’ve pulled together all the announced folding smartphone plans, along with all the rumors. 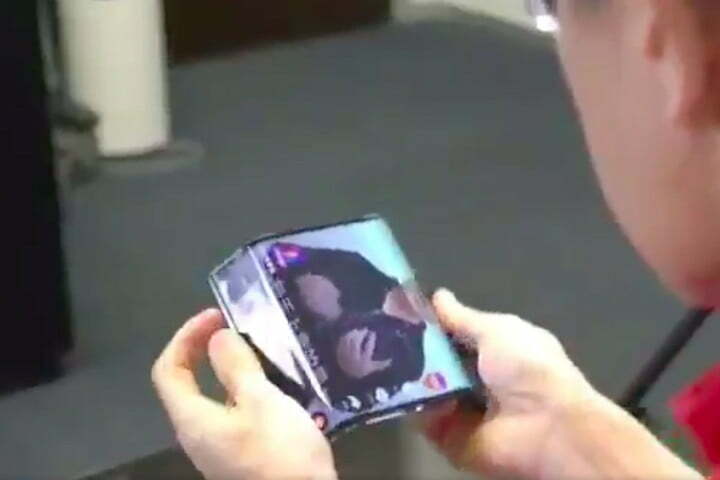 Samsung has been working on a foldable smartphone for years, so when the Galaxy Fold was finally revealed at Galaxy Unpacked 2019, we were fairly sure we know what to expect. But despite all the leaks and the rumors, Samsung’s folding smartphone still blew us away. 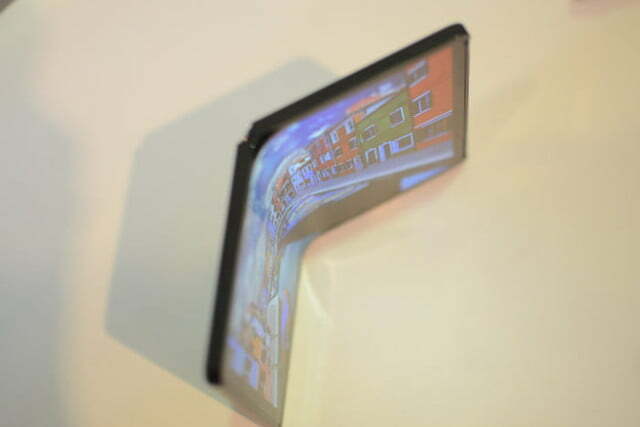 The style of fold is one of the most important parts of a folding smartphone, and Samsung has opted for a book-style fold, with a larger screen protected on the inside of the device. The Galaxy Fold has two AMOLED screens — the first, on the outside of the device, measures 4.6 inches, while the inside screen features a tablet-like 7.3-inch screen. A sophisticated hinge system ensures the device is able to fold and unfold quickly and easily. The software is particularly impressive. 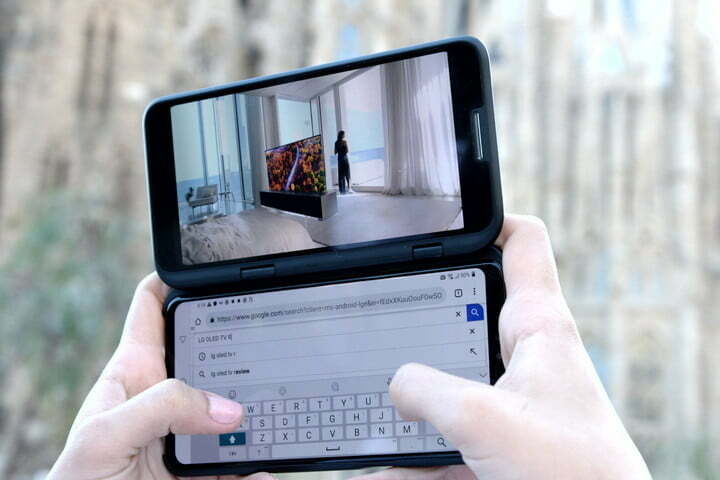 The Galaxy Fold transfers your currently open apps onto the larger screen seamlessly — something Samsung calls app continuity — so you can instantly switch over to using Google Maps on a larger screen. That larger screen can also handle up to three simultaneous apps in split-screen, enabling an unprecedented level of multi-tasking. It comes with six cameras in total, and is powered by a 7nm processor, 12GB of RAM, 512GB of storage, and two batteries with a combined capacity of 4,380mAh. Unfortunately, the price is very much at early-adopter levels — you’re looking at a $1,980 price for the Galaxy Fold. However, it will also include 5G and LTE connections, making it a huge technological advancement for Samsung. While Samsung may have beaten it to the punch, Huawei is hot on the Korean company’s heels with the folding Huawei Mate X. 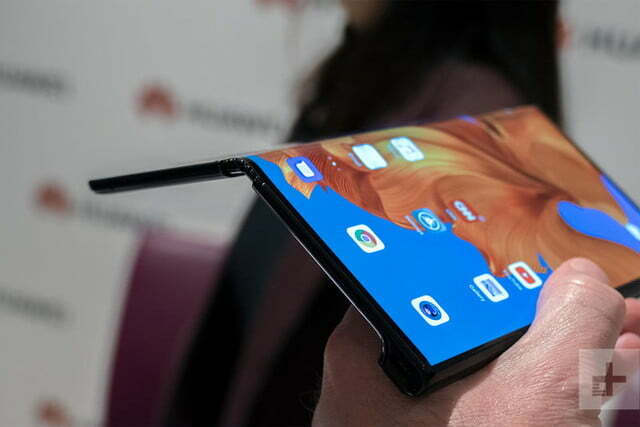 But while both phones fall under the folding phone “foldaphone” umbrella, the Mate X is definitely not a carbon copy of Samsung’s Galaxy Fold. Instead of the Galaxy’s inner book fold, the Mate X uses an outer fold that uses the smaller screen as part of the larger one. As such, there’s technically only one screen here. But what a screen — despite the outer fold, there was no evidence of damage to the screen and no ripples, bumps, or imperfections. The Falcon Hinge used in the Mate X is a mechanical one, and you’ll need to push a button on the bar running down the side to open the device up. As such, it feels stiff in a high-quality way. For those of you worried about durability, Huawei claims the Mate X has been subjected to extensive drop-tests, and the screen has been tested to 100,000 folds. 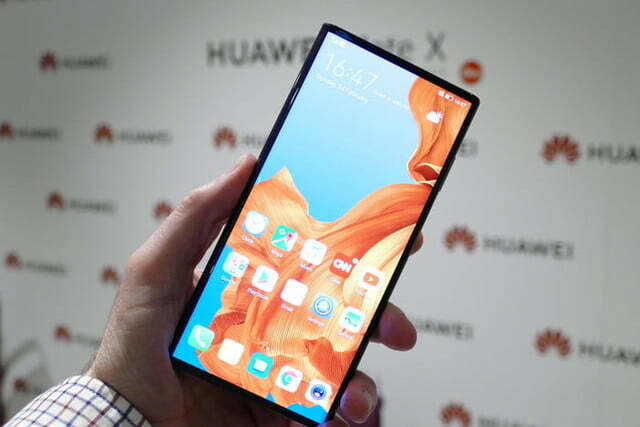 Unlike the Samsung Galaxy Fold, Huawei has let journalists take the Mate X in hand, which suggests Huawei’s device may be closer to final than Samsung’s, but time will tell on that front. However, like the Galaxy Fold, the Mate X won’t come cheap, and it’s even more expensive than Samsung’s phone. The Mate X looks to cost around $2,600. Like the Galaxy Fold, this is very much early adopter pricing, though the Mate X does also come with 5G support. Despite being one of the few manufacturers with experience of flexible screens (the G Flex and the G Flex 2), LG hasn’t gone for a traditional style of foldable phone. Instead, LG has revealed an accessory for the LG V50 ThinQ that allows you to attach a second screen, which can be folded into the device. 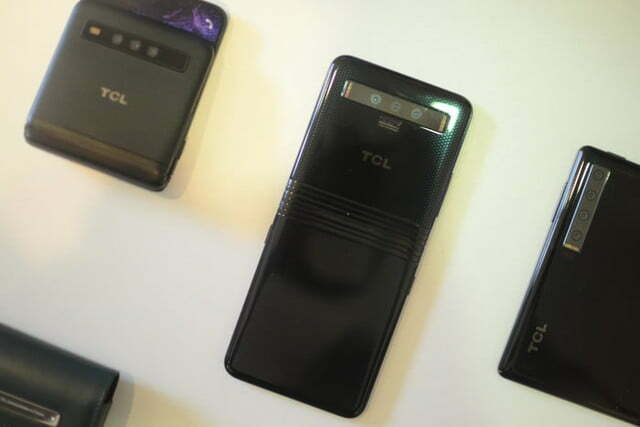 This second screen essentially functions as a cove case for the 5G-enabled LG V50 ThinQ, but instead of a front cover, it contains an additional 6.2-inch AMOLED screen. You’ll be able to use this screen independently of the first, so you might be able to message someone while checking your position on Google Maps, watch Netflix while also checking social media, or even use it as a game controller, and the V50 will react intelligently to the presence of the second screen, allowing you to move apps over to it. It won’t require any outside power either, as it’s draw energy directly from the V50. 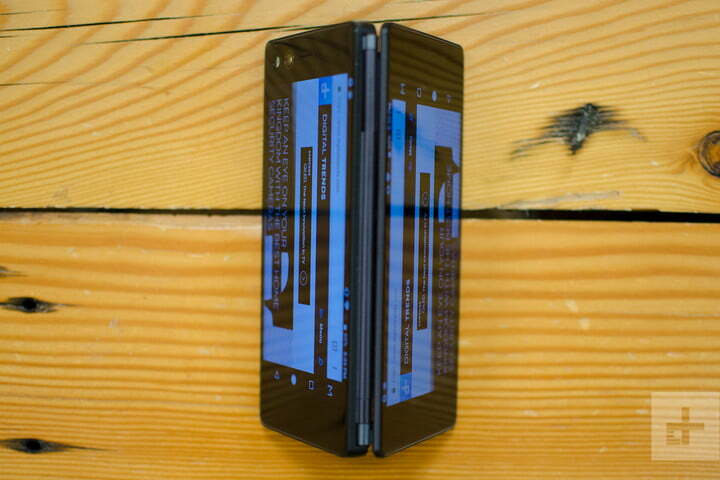 While it doesn’t have the same “wow” factor as other folding phones, it still fulfills many of the same requirements. Pricing hasn’t been announced yet, but we hope it comes cheaper than other folding phones. 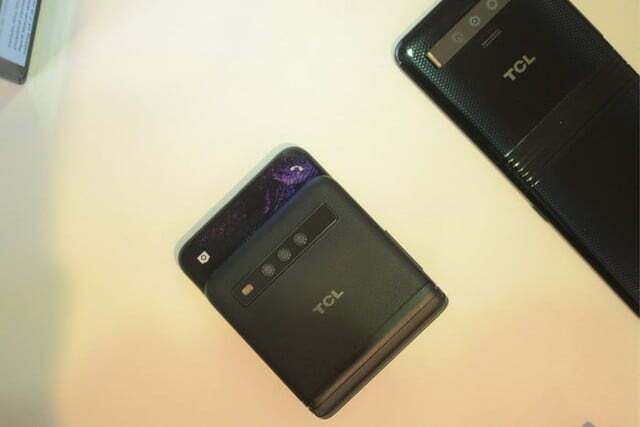 While it wasn’t able to show off any specific finalized devices, TCL (makers of Alcatel and BlackBerry phones) was able to show off some seriously impressive prototype foldable phones at MWC 2019. 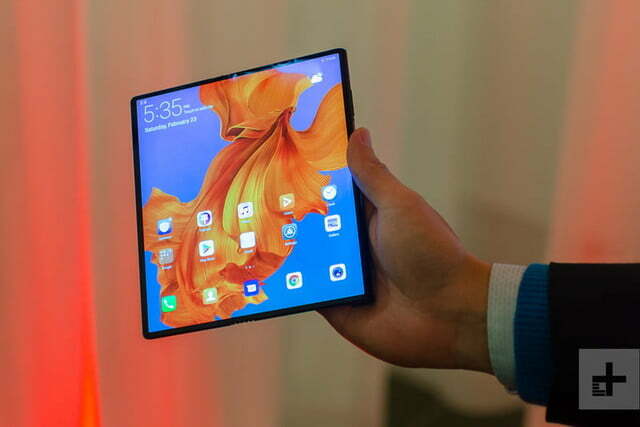 Using the company’s DragonHinge, each of the prototypes seemed to show off a different way of folding a phone, from book-style folds like the Galaxy Fold to screens that folded up like a retro flip phone. 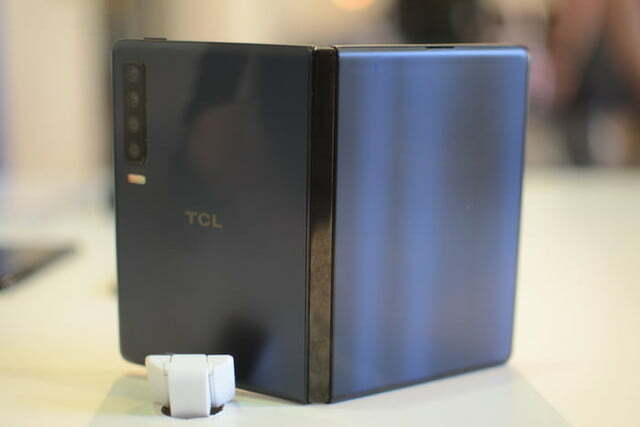 However, don’t expect to see anything from TCL’s subsidiaries any time soon — TCL claims it’s going to take its time to produce a folding phone correctly, and isn’t rushing to be first to market. Still, worth keeping an eye on. Xiaomi hasn’t come out and said it’s making a folding smartphone, but it has shown off a prototype which may or may not be destined for public release in the future. The phone doesn’t have a name or any firm specifications attached. The folding smartphone was shown in a video being used by Xiaomi CEO Lei Jun, and it showed a slightly different type of folding design to other concepts and prototypes we’ve seen. Exciting stuff, but not absolute evidence that a Xiaomi folding smartphone will come in the near future. Oppo, which is in the midst of making itself better known around the world, apparently will bring a folding smartphone to Mobile World Congress 2019. This is information from the company itself, rather than an unsubstantiated rumor, which gives us hope the timeline is accurate. However, while it may show such a device at MWC, there’s no guarantee it will be a device ready for sale. The Royale Flexpai is more proof-of-concept than an everyday usable smartphone. 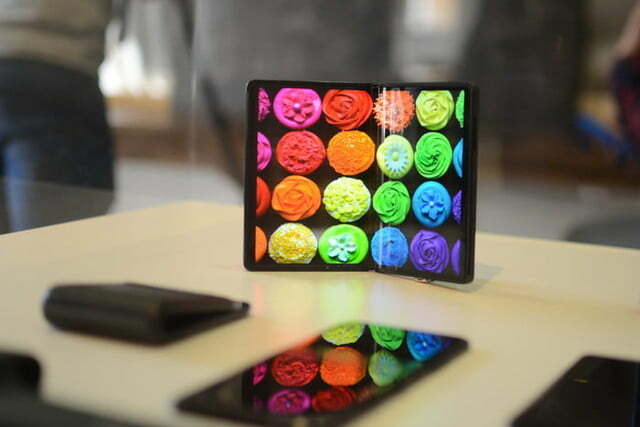 The phone unfolds to show a 7.8-inch screen, has a pair of cameras, a Snapdragon processor, and special software too. Royale is an expert in flexible screen technology, which has enabled it to get a head start on much larger firms, but the current product still feels like an exciting prototype. We’ve had the chance to play with the Royale Flexpai, and if you’re tempted to try one out, a developer version can be purchased for around $1,300 online. We don’t really recommend it, though, unless you’re a keen software developer wanting to get started with apps suited to folding screens. One of the juiciest rumors about folding smartphones comes with the Motorola name attached, as the famous brand may use the new design to resurrect the classic Razr name. The original Razr folded up like a flip phone, so the brand synergy is there, and Motorola executives have spoken about bringing the new tech together with the old name before. Everything we think we know about the device comes from rumors. It may have a 7-inch screen when unfolded, a couple of cameras, and even an unusual triple-hinge layout. The announcement date, release, and price are all unknown. Secretive Apple is unlikely to give anything about future plans away, but it’s a solid bet the company is experimenting with different designs that may (or may not) eventually become an iPhone, iPad, or a new product entirely. So far, the only hint Apple is exploring foldable smartphones comes from patents for hinge designs, and folding mobile device screens. But patents do not always reflect products or technology planned for public release. Google is working on a version of Android suited for use on foldable smartphones, and already produces the Google Pixel line of regular smartphones. It’s not much of a stretch to imagine a folding Pixel phone in the future. However, given we’re still waiting for a Pixel Watch, it may not be any time soon. Details have spread that Google is working on such a device, with evidence coming from patents and unsubstantiated rumors so far. ZTE became something of a trailblazer with the launch of the Axon M — an actual folding smartphone — at the end of 2017, predating all the current hype by at least six months. No, it wasn’t all that good, and the two separate displays hinged together didn’t look as futuristic as the devices we’re hearing about today, but it does fit the basic profile. Patents have been seen since from ZTE that show it may be working on a different model, potentially using what it learned from the Axon M on a more up-to-date version. The ZTE Axon M remains one of the few foldable smartphones you can buy right now. 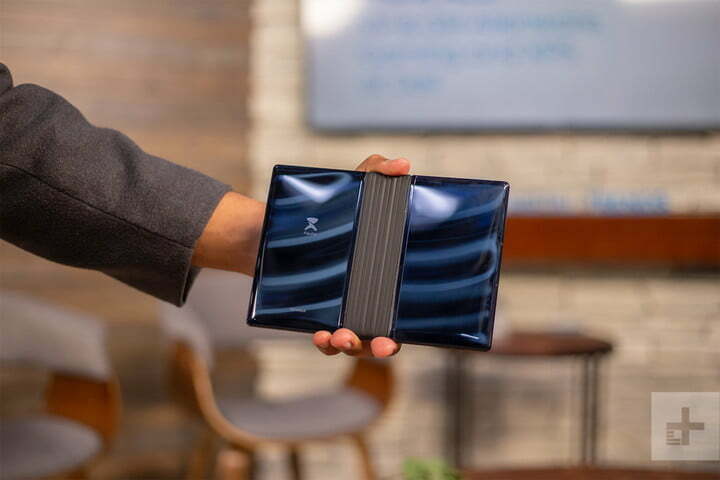 Proof that every company and its dog wants a piece of the foldable smartphone action is the news Energizer has one in its 2019 line-up. Better known for its batteries than its phones, Energizer says the foldable smartphone — along with 25 other devices — will be at Mobile World Congress. Nothing else is known about the device yet. Microsoft has likely abandoned plans for a Surface Phone, but may be working on a hybrid phone/tablet/laptop known as the Andromeda, and it may have a folding chassis. The rumors point more to it being an evolution of the 2-in-1 laptop with additional phone features than a strict phone/tablet hybrid. Patents from Intel, which have been turned into renders, show what the device may look like. Intel doesn’t produce hardware itself, but will make reference devices to help other manufacturers visualize what’s possible. 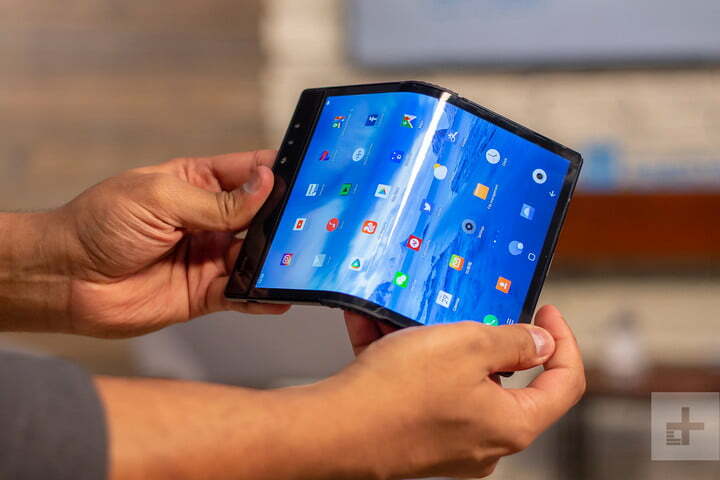 We’ll continue updating this piece as we learn more about folding smartphones.